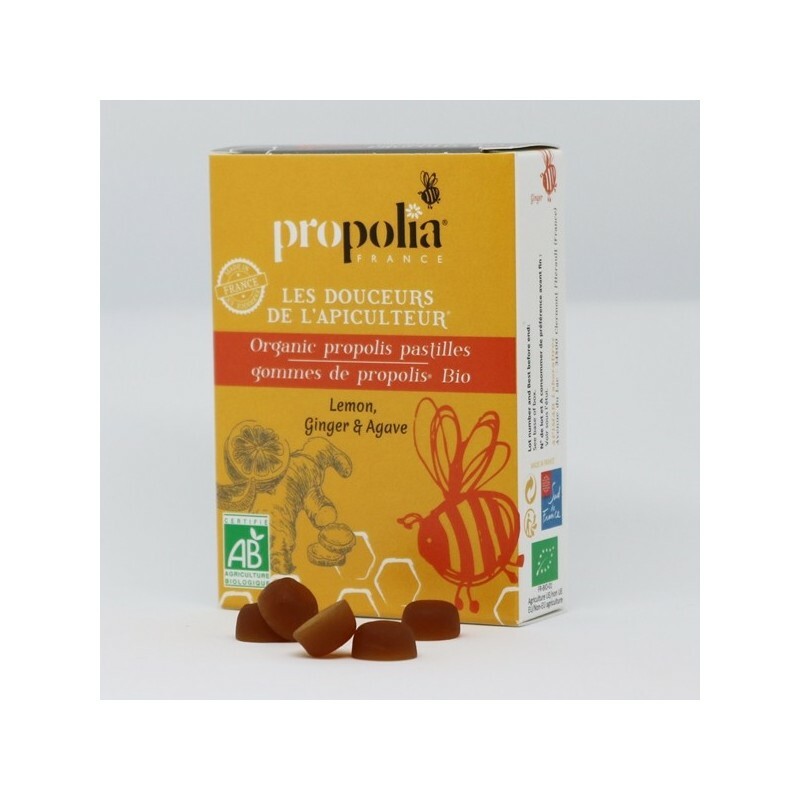 Propolis (3%): The beehive's natural defender, acclaimed throughout history. 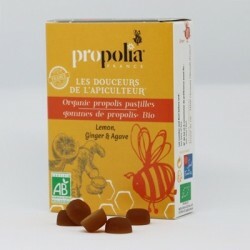 Ginger (1.8%): An ingredient well-known for its digestive action and its spicy taste. Agave (47%): Plant originally from South America, it supplies a sap which can replace brown sugar. 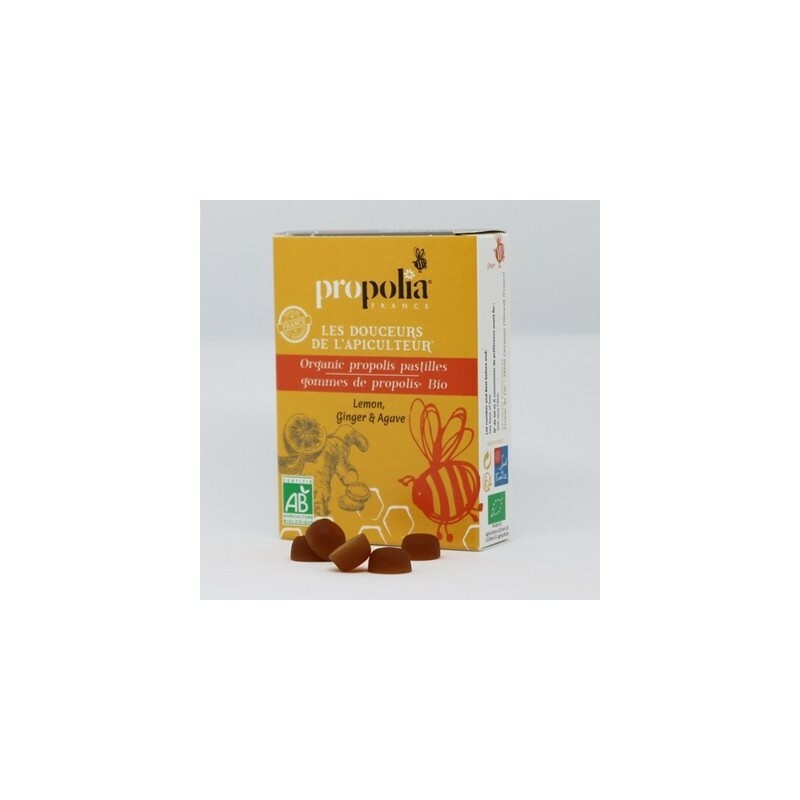 Organic Propolis Extract 165 mg; Organic Ginger Extract 100 mg (zingiber officinale Roscoe).